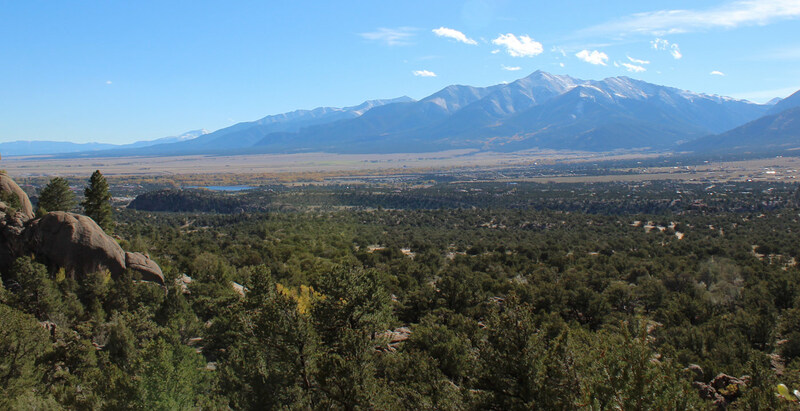 Nestled in Fremont County you’ll find the dwelling place of wonders. Walk or ride the highest suspension bridge in the world. Take an exciting ride on the world’s steepest incline railway, and the only railway that runs through the daunting and world famous Royal Gorge. Discover dinosaur parks where archaeologists still make discoveries. Add to that over 1 million acres of National Forest, 700 trails, biking, horseback riding, skydiving, helitours and world-class Brown Trout fishing, and you have a glimpse of the adventure that awaits you in Canon City. Approximately 45 minutes southwest of Colorado Springs, Canon City enjoys year-round mild weather and a landscape that varies widely from the semi-arid plans in the east, to the staggering peaks and lush meadows of the Rocky Mountains in the North, South and Western skies. Home to the famous Royal Gorge Wars of the 1880’s and the silver rush that gripped a Nation from the bed of the Arkansas, Canon City is rich in American history. The first woman inmate in Colorado had her stay here at the Colorado Territorial Prison, though she’d not be the one the prison would later be famed for. Come visit the cell of the original Hannibal the Cannibal, Alfred (Alferd) Packer and hear his story as he told it. Or see the lighter side of the Wild West and visit the town trapped in time complete with gun fights still staged and saloons still celebrating the gold rush days.